The Flugga Boat design is a new concept in workboats, designed and built by Unst Inshore Services Ltd in the Shetland Islands. With a range of sizes of 6m, 7m, 7.5m, 8m, 9m and now 10m all certified for 1 ton cargo with a self draining deck. What makes this design unique is that at first glance it looks like just another RIB, but this boat hull is constructed from aluminium and the collar is fabricated from a very hard wearing, High density polyethylene plastic pipe. The design therefore has all the benefits of a conventional rigid inflatable but is much stronger. The rugged construction means lower overall maintenance costs and greatly increased working life. 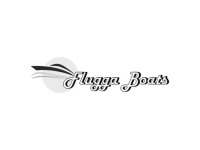 Fluggaboats are designed to meet the demands of the commercial sector whether its for oil support boats, fish farms, diving or personnel transport, what you will get is a very strong, stable and seaworthy boat. Private RIB enthusiasts also benefit from the commercial design.